He was her father; she loved him and she trusted him. 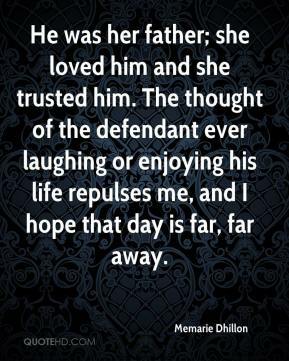 The thought of the defendant ever laughing or enjoying his life repulses me, and I hope that day is far, far away. This man, the defendant, picked up his hunting rifle, got the bullets, loaded it and pointed it at his own flesh and blood. He still had a chance to back out. But he didn't. 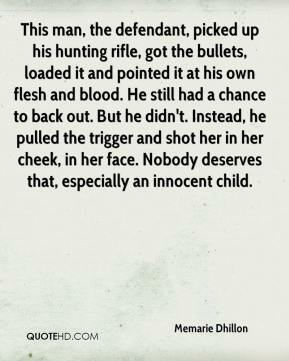 Instead, he pulled the trigger and shot her in her cheek, in her face. Nobody deserves that, especially an innocent child. It's a little too late now. No amount of years will ever be good enough. 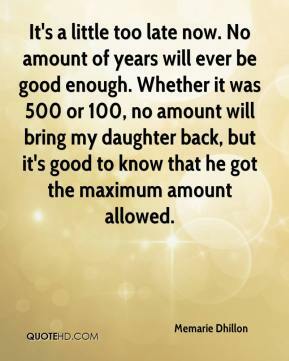 Whether it was 500 or 100, no amount will bring my daughter back, but it's good to know that he got the maximum amount allowed.